As writers we spend many hours alone, toiling at keyboards, storyboards, or scratching outlines on the back of napkins. The solitude is, at times, blissful. At others it can be downright boring. Even depressing. The cold days, along with the many winter celebrations, pulled me away from writing and I felt a need to do something about it. I needed some inspiration, a writing companion, and a good boot in the pants to get back to writing. From this desire to write with friends the first Sweet Success Challenge; Leap into Writing was formed. Pikes Peak Writers and writers across the nation gathered virtually and committed to write (or do something "writerly") every day for the twenty-nine days of February. The idea was to get back into the writing routine or start a new habit of writing, and then keep it up through the rest of the year. It turns out, I wasn’t the only one who needed a helping hand. 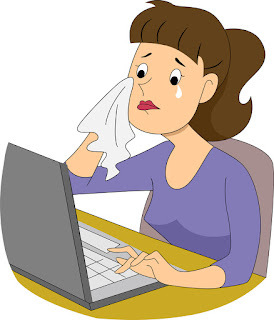 Jody emailed PPW’s blog editor, Donnell Bell, with the subject of, “Lost Writer! Help!” Jody made a New Year’s resolution to get back into writing and sought out PPW for direction. She went on to fulfill her commitment and joined the challenge. Although the Sweet Success Challenge is over, you should consider hosting your own challenge, or joining one. It can be a day, a week, a month, or more. Just bring a few friends (or a lot) together and write! You don’t have to live in the same town, or even the same state. 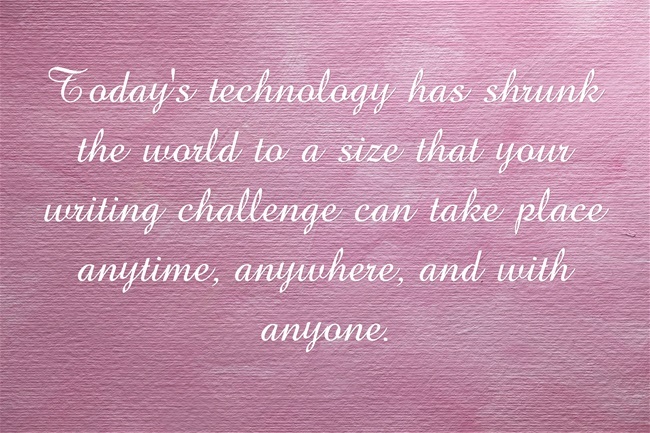 Today’s technology has shrunk the world to a size that your writing challenge can take place anytime, anywhere, and with anyone. Keep it simple (as simple as you and a friend who can be your accountability partner); keep it fun (Wednesday Word Wars was a highlight); or make it outlandish (set tough to reach goals like 5,000-15,000 words a day). Whenever you fall into a bit of a funk, or if your writing has taken a back seat for too long, that’s the time to get up and do something about it. You are not a lone writer who has to wither in a writing bubble. You are a writer and you have friends, many of whom you just haven’t met yet. Start now and make today your day to Leap into Writing. This was a great challenge, Kathie. Thanks for creating and hosting it!